For all types of hunger, God is the Solution. What Is She Doing With Her Life? Winter in Michigan is hard. I highly dislike it because I despise being cold, and that is pretty much all that winter is: cold. Ever since my life changed and I have been in love with gardening (read more about that here), winter is a whole new category of awful. Until spring. Even though it seems like the cold has already been going on forever and like it will never melt away, I noticed something recently while looking at my garden calendar: We are about 8 weeks away from the probable last frost date!!! 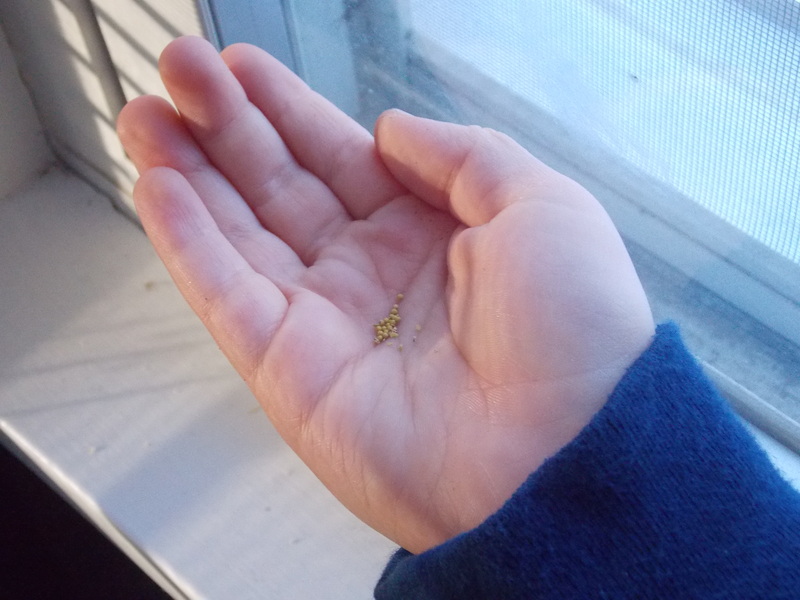 Now, this might not mean a ton to everyone, but to me, it means that last week was the first week of seed starting, and that is about the most exciting thing you can tell someone who has been waiting to dig her fingers into some soil. 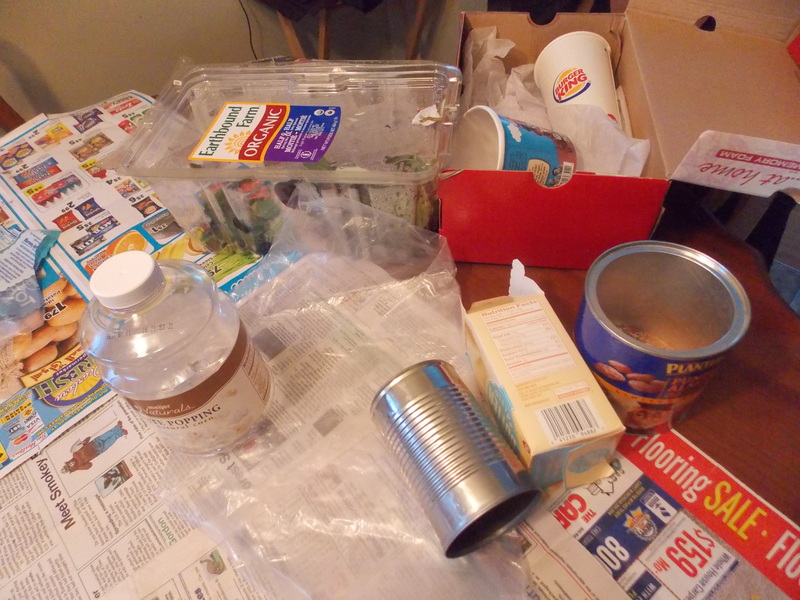 It also means that I have a lot of work to do, as I need to continue to prepare containers in which I will start the seeds and, more importantly, figure out where I am going to put them all so they get sunlight. 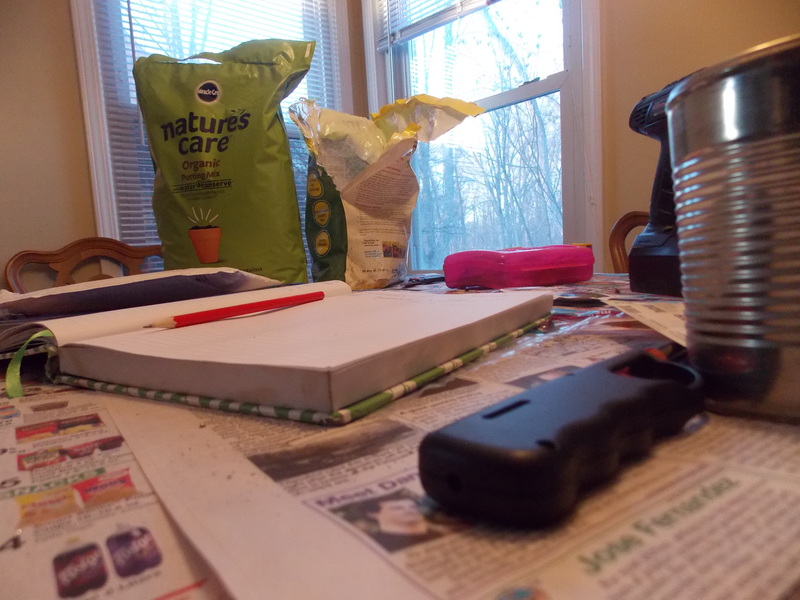 First things first: cleaning and decorating some seed starting containers. –Timing: how long is this plant going to be in this container? Will I be transplanting it in a couple of weeks, or a couple of months? If the container is not big enough to accommodate the roots, the plant’s growth can be stunted before you get it in the ground. –Size of plant at transplant time: How big will it be? You can assume that the size of the roots at any given time at at least twice the size of the growth above ground. That being said, if your plant is supposed to be 3 inches tall when you transplant it, your container better have room for at least 6 sq. inches of roots to spread out (more room is better than less). –Drainage: Does this plant need lots of water or well-drained soil? Depending on the material your container is made of, it can be tricky to poke holes, so you may want to use something that is not completely water-tight (like cardboard) if your plant needs well-drained soil. On the other hand, plastic, glass and metal cans come in quite handy if you don’t care as much about the soil draining super well. I basically raided my family’s recycling bin to find containers, and I have been saving them up for a while so I would have enough to get going. 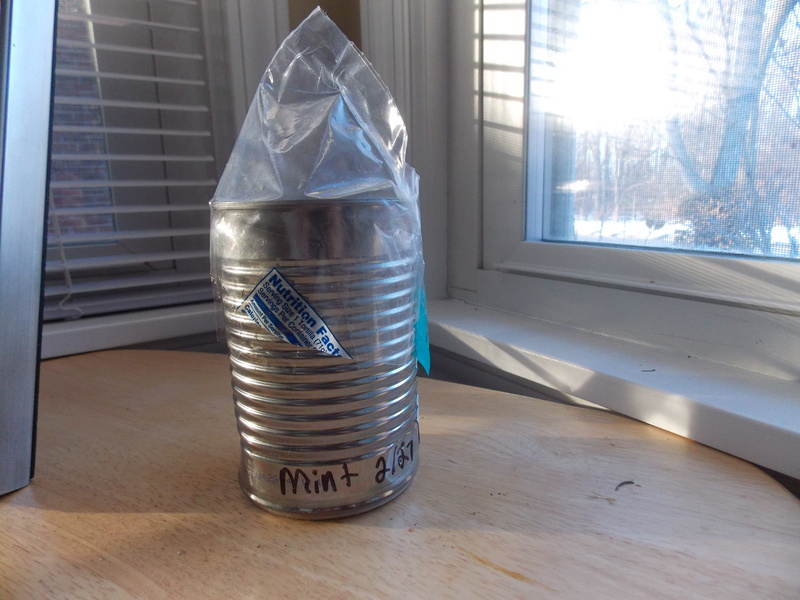 There are about a billion ideas on Pinterest – and the rest of the internet for that matter – on how to start seeds, so I will likely be trying many of them. 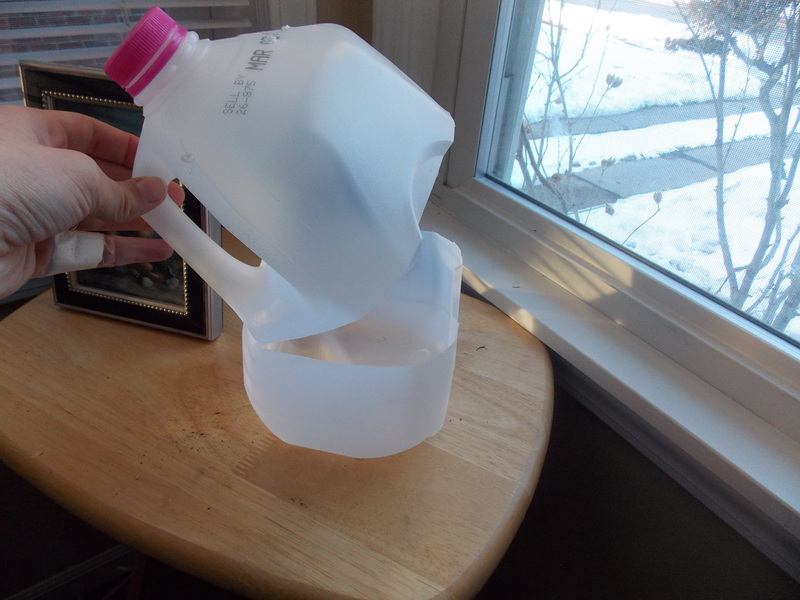 One new idea I have never tried is winter sowing using milk-jugs as mini greenhouses. I found out about this idea and wondered why I had not thought of it – the idea and instructions are on Kevin Lee Jacobs’ blog, A Garden For the Home, and can be found here. First things first: what to grow? It does not matter how much you love gardening; if you do not have an endless amount of time and money, you need to rein it in. I get carried away like a feather by the wind when I look at new seed catalogs, especially those advertizing rare heirloom varieties of fruits and veggies. Since cash is tight, I have to be choosy about what I purchase. In most cases, including mine, it makes the most sense to go with what you know you will eat. If you have a few extra dollars, go ahead and try the new variety of squash or that pink eggplant. Otherwise, stick with what you know you can get the kids to consume and what you will be happy about working hard to harvest. Next step, buy your seeds. I am 100% on the GMO-free side of the tracks, so that always guides my decision making. Still, even within a certain set of limitations, there are choices regarding price. 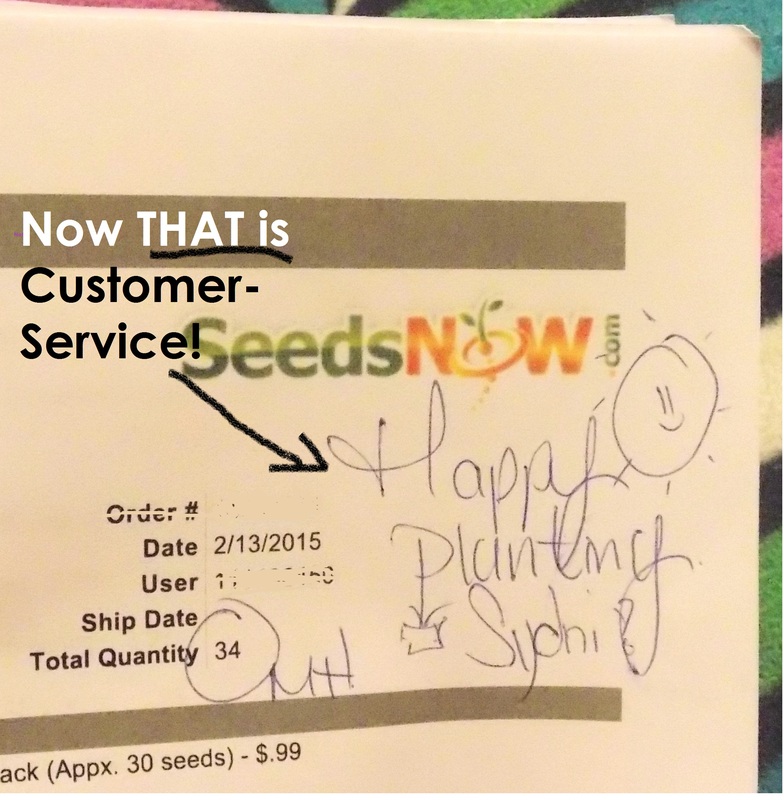 I love SeedsNow.com because they offer a HUGE selection of $0.99 seed packs and an even bigger selection of other stuff. They have fabulous customer service as well, and they send out coupons often. Plus, if you buy from them using this link, I get 20% of the sale profit! There are plenty of other GMO-free companies out there, and a quick Google search will bring a bunch of results. Great. 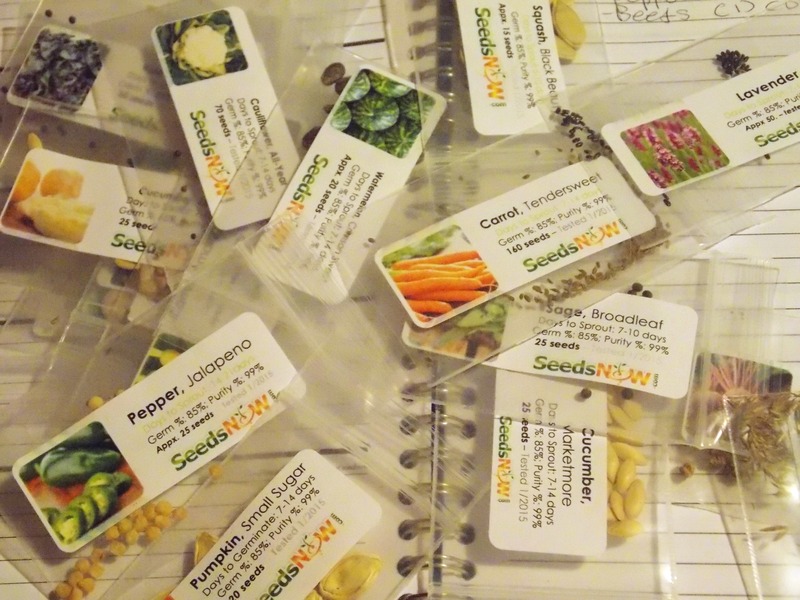 You have your seeds, and you’re ready to go – now what? Be inspired by the seeds!!! 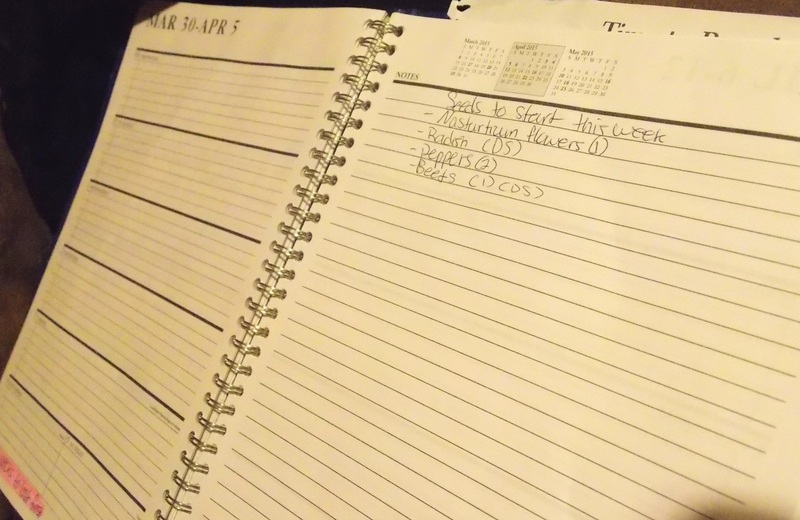 I did not get any fancier than picking up my day-planner (the one I already use) and getting started. 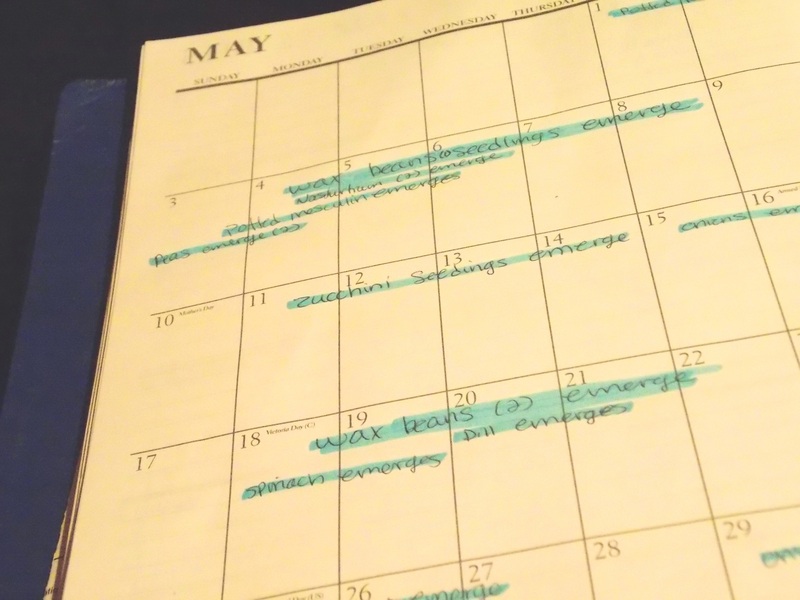 This is the planner I used – I used it all semester for college classes, and it works perfectly as a garden calendar! On the “notes” section, I list which seeds I plan to start that week. At the top of each week page, I list the plant that should be ready for harvesting around that time. Another detail that I included in my garden calendar is when seeds are expected to emerge, or the time around which I should expect to see little seedlings coming out to say “hello”. While this is not necessary for everyone, I find that it is helpful to note when your germinating seeds will begin to need more light and air exposure. I included this information – highlighted in blue – in the whole-month page which is located at the beginning of each month in my planner. Approximate times to expect seedlings. 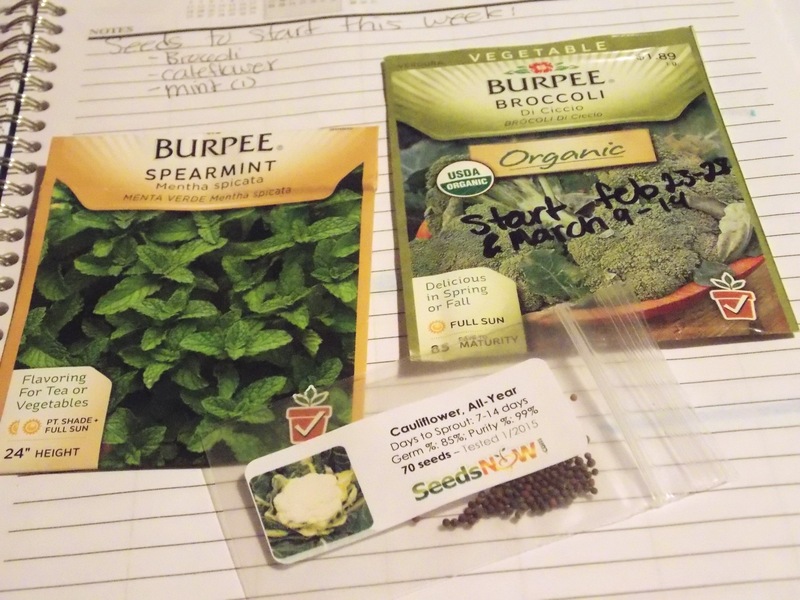 Looking at the seed packets, online gardening hand-books, and books from the library, I decide when each seed type should be started and how I plan to do that (winter sow outside, start indoors, directly sow in the soil outside, etc.). Then, I take that information and put it in the calendar. It’s that simple and that complicated. Most information on when to start seeds will have something to do with the “last chance of frost”. I looked on Farmer’s Almanack and typed in my zip-code to find that May 2 has a 50% of being the last day of frost in my area. Using this date, I counted back about 9 weeks and labeled each week after that in my calendar for easy reference. That way, every time a packet said something about “six weeks before last frost”, I could simply turn to the page with the six week label and go from there. Plus, I get the bonus of being excited each week when I see how close we are to warmer weather! 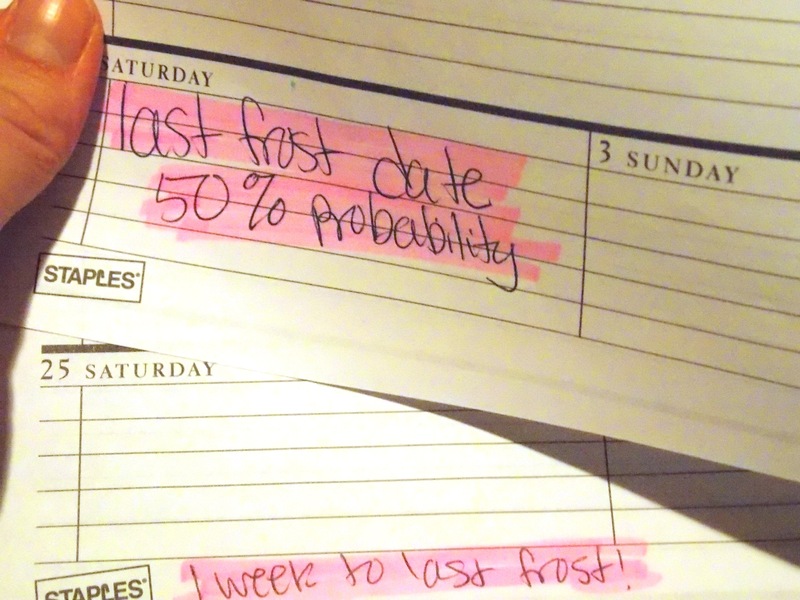 Labeling the weekly count-down to the last frost helps when deciding when to start seeds. 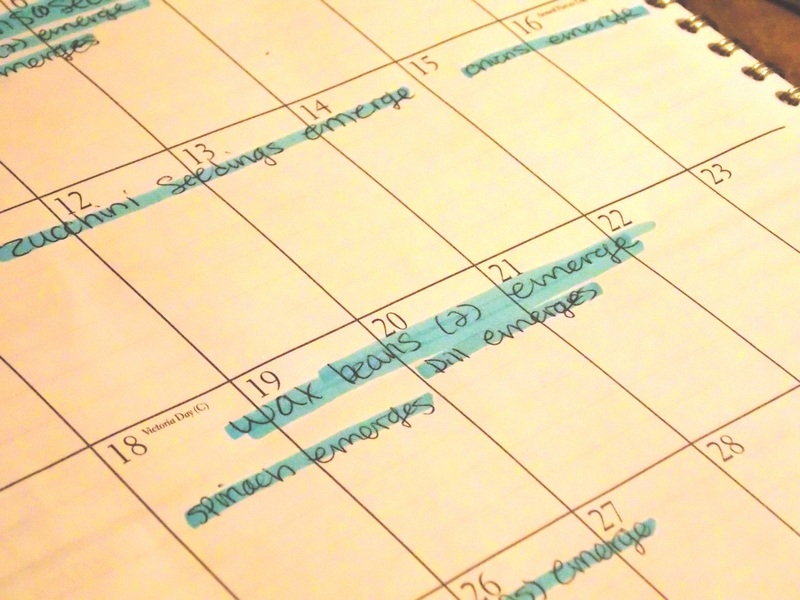 Once you get going, you will find that it doesn’t take long to fill in your calendar. You will start to see patterns of slow weeks and high-maintenance weeks, and it is best to stagger your seed-starting to balance out the work load. I also included “successions” of some plants. This means that if I am starting tomatoes one week, I will save some for two weeks later and so on. This way, you will not be stuck with 400 tomatoes all ripe at the same time and none to harvest later. Now for the fun part: playing in the dirt! After deciding which containers to use, wash them with soap and water and make sure they have proper drainage. My 13 year-old brother was all too happy to remind me that he owns his own drill, so I borrowed it for the task. Besides a drill, there were not many other tools needed, so I dove in and grabbed stuff from around the house as necessary. On the calender last week: Broccoli, mint, and cauliflower. 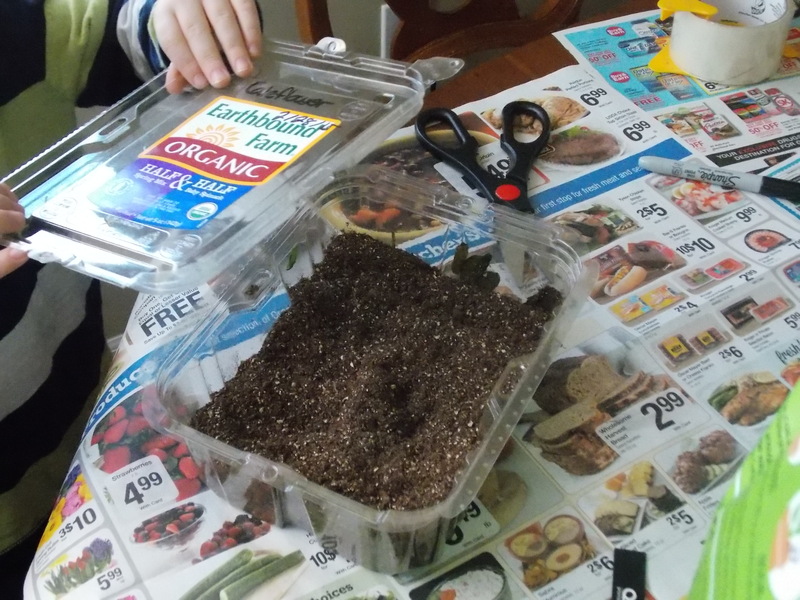 The kids enjoyed filling the salad box with soil, poking holes with their fingers, and dropping tiny broccoli seeds inside. 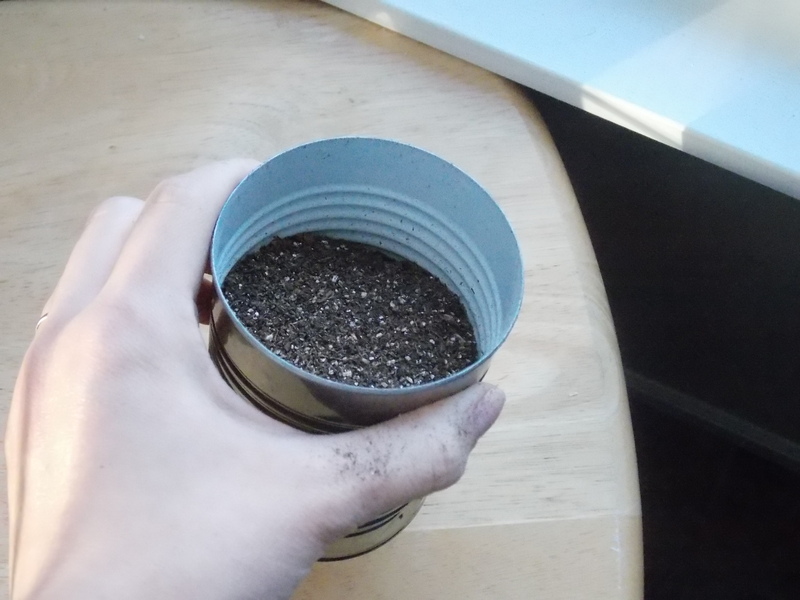 Once the seeds are watered and ready to go outside, the lid goes back on to create a mini greenhouse. 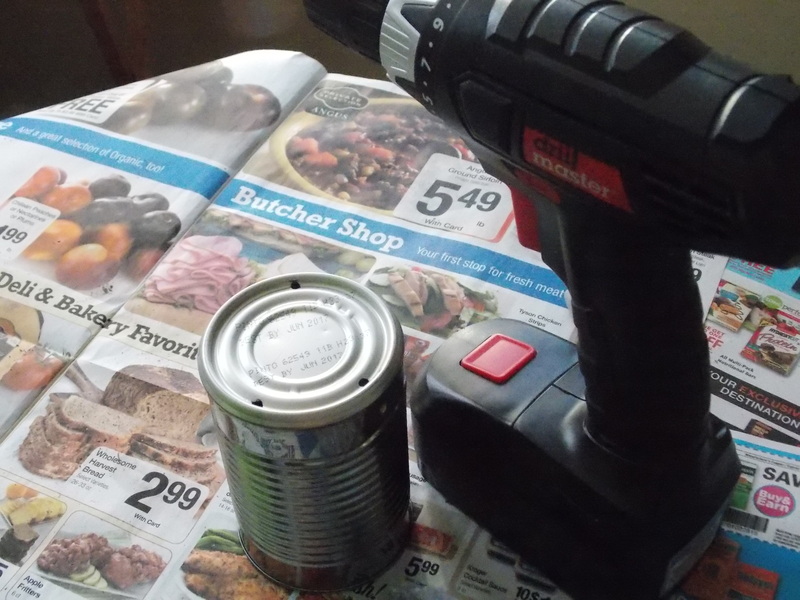 We drilled holes for drainage in a metal can. Since I was low on potting soil (and the soil in the ground was under two feet of snow), we filled up the deeper containers part way with other “fillers”. 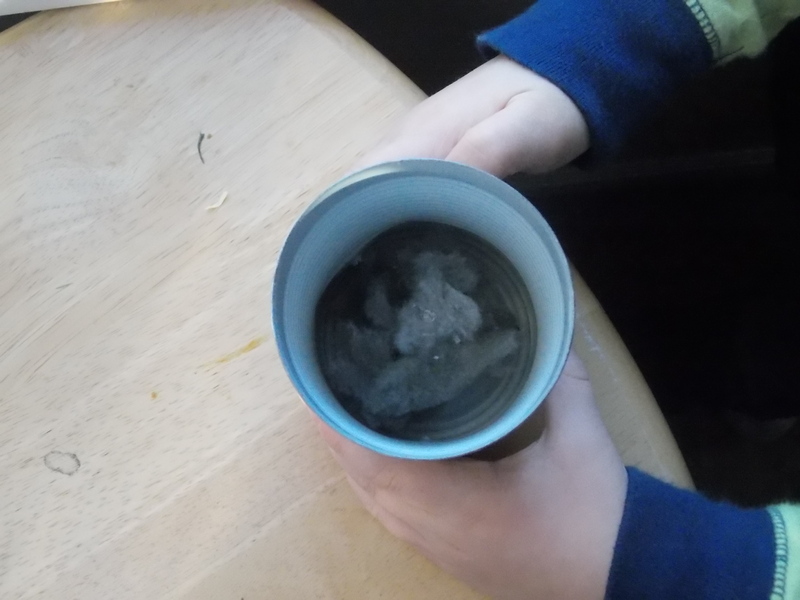 We filled the can about 2-3 inches with drier lint – it takes up space so the roots can travel, creates air spaces for drainage, and was readily available and free. 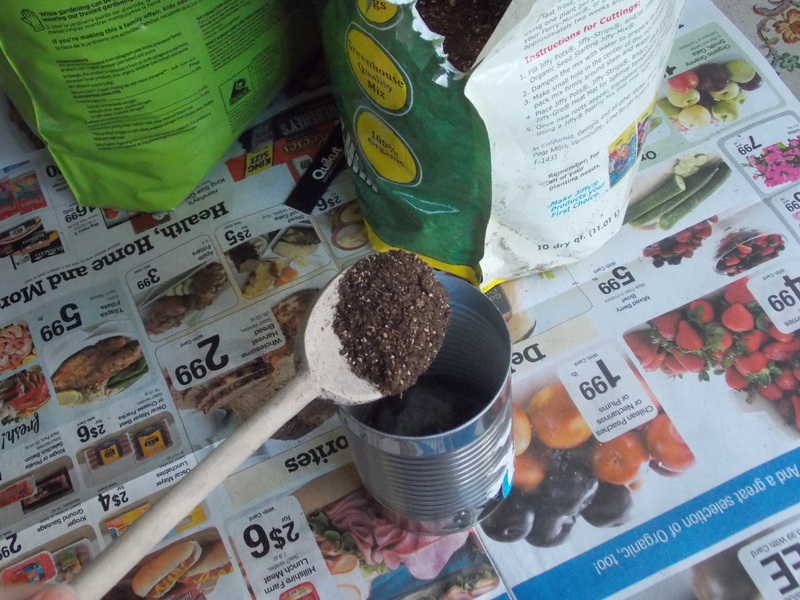 We added soil to fill the can to about 2 inches from the rim, and then we were ready to add the seeds. 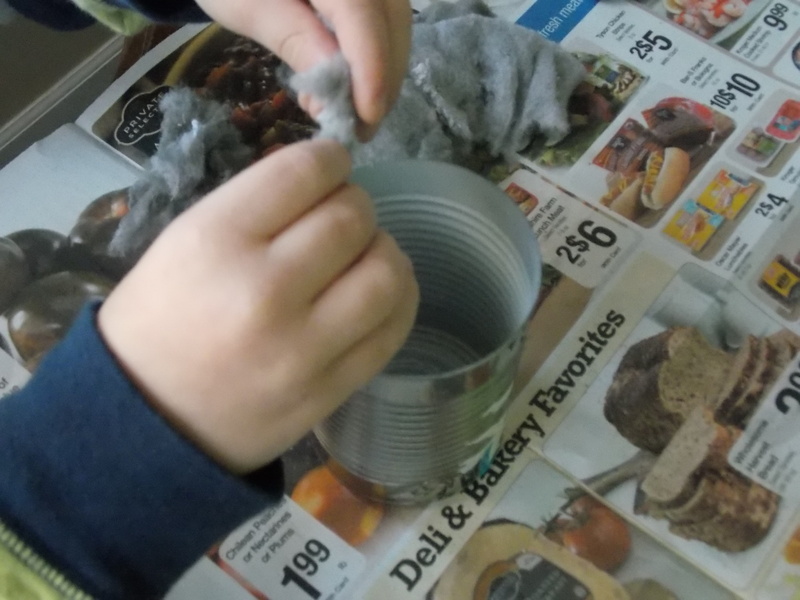 To make a mini greenhouse without a lid, we cut a corner off of a plastic bag from the recycling bin and taped it to the top of the can after watering. There were a couple of other containers whose pictures did not get taken because I was being slightly less-than-responsible. 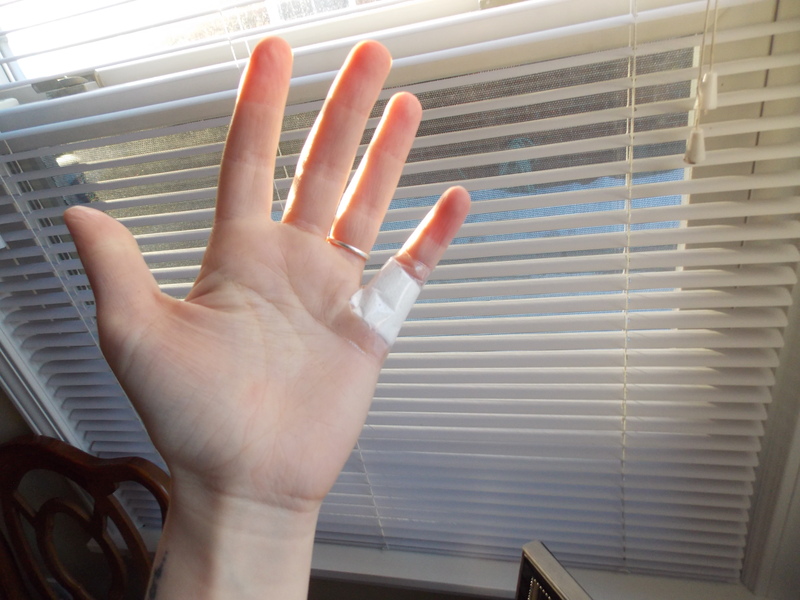 Let it be known, being considered an “adult” does not make you exempt from safety rules you learned as a kid: you should still cut away from yourself, and using a dull knife to cut through plastic is a very bad idea. Just remember that. 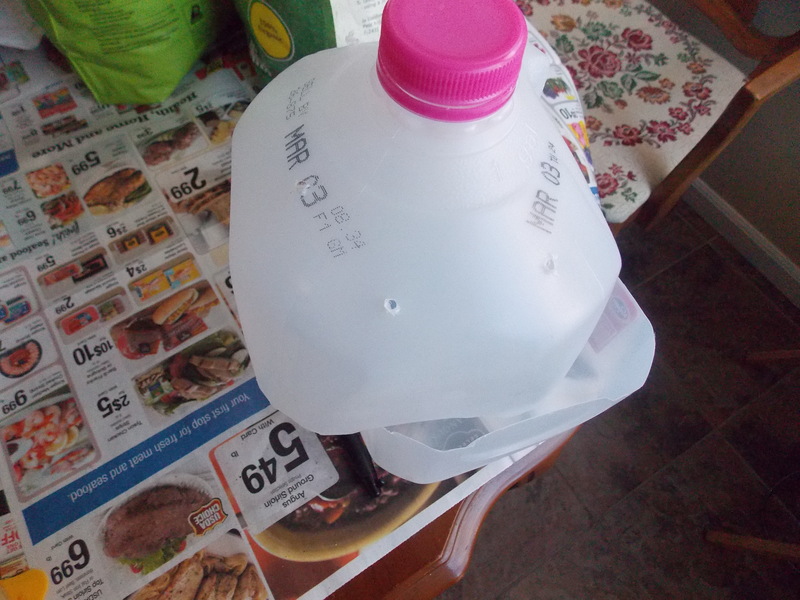 The last type of container – and one of my favorites so far – is a milk-jug split in half to make a hinged greenhouse. I used simple kitchen scissors to do the job, and it worked out great. Make sure you leave an un-cut portion to be your “hinge”, or else the top will only be connected by tape. Drill holes in the top for air to get in and out, and a few in the bottom to allow for drainage. The gallon jug is a good choice for leafy-greens, because they can grow nice and tall before the weather is warm enough to put them in the ground. I planted kale in this one, because it will be ready to eat before spring is in full-force, but the temp inside the mini greenhouse will be perfect until then. What records should you keep? 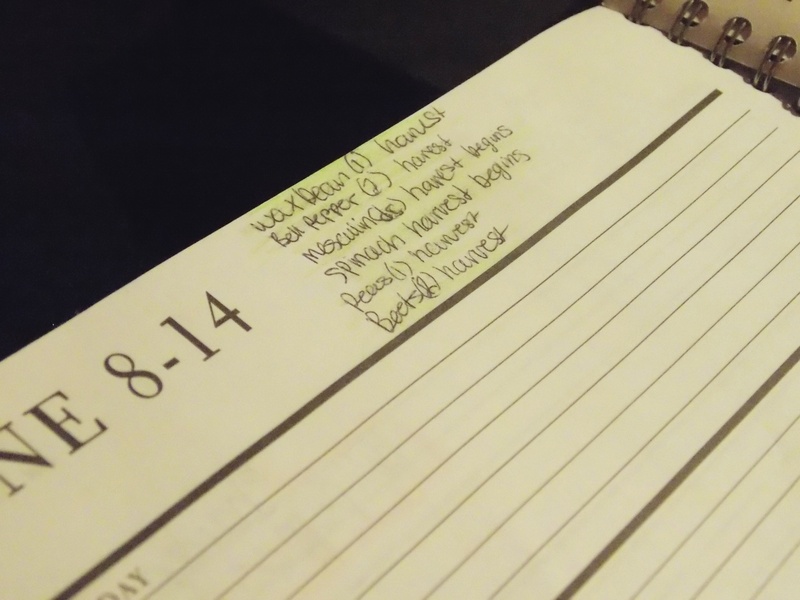 I am known for writing down too much information in the beginning and then not being able to keep up with it and failing at the end. This time, I decided to start with the bear minimum so that I would be sure to follow through. The reason I keep records is the same reason I write details of an experiment in a lab report: to know what I did wrong and what went well so that I can do better next time. There are three main variables that could affect seeds that are started in the cold months. The first is the date: did it work out, or should you start a little later next time? Maybe your plants were ready to go in the ground before it was warm enough and you need to start later next year instead. Second, the temperature. This one is similar to the reason for keeping track of the date, but it is helpful when comparing year to year. Maybe your plants did fine in early April. If the reason is that April happened to be 90 degrees that year, you might want to take note and adjust when the next April is 38 degrees. Finally, keep general notes of what you did. 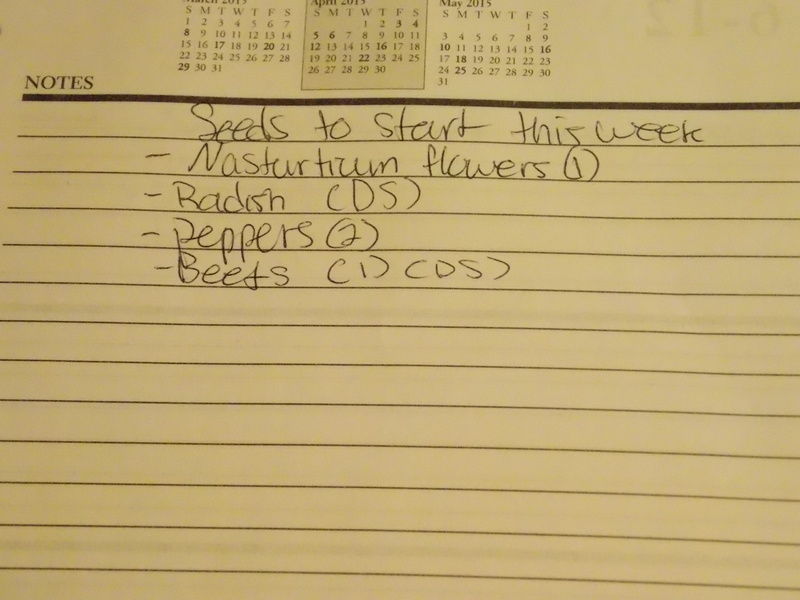 I wrote down the plant name and the rough amount of seeds I started on that date. 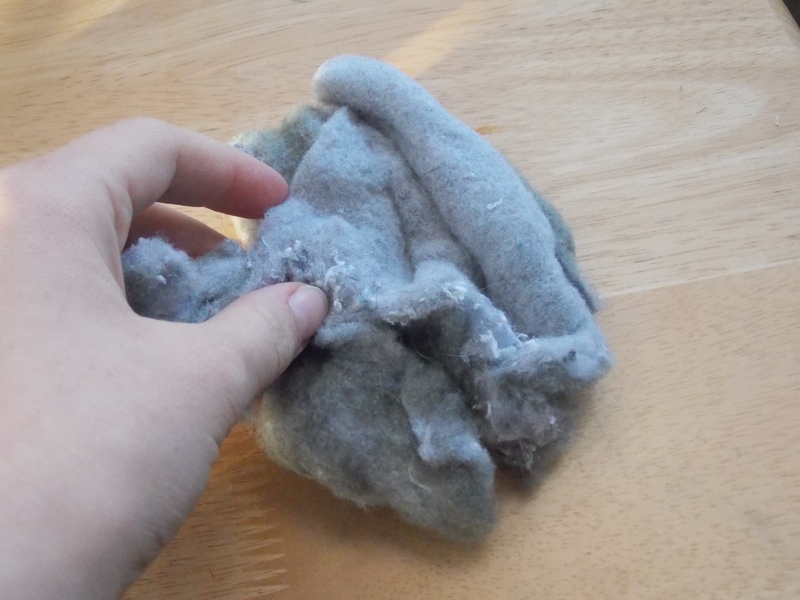 Then I wrote down what I did with them – put them out side, watered them, kept them indoors by a window – you get the picture. 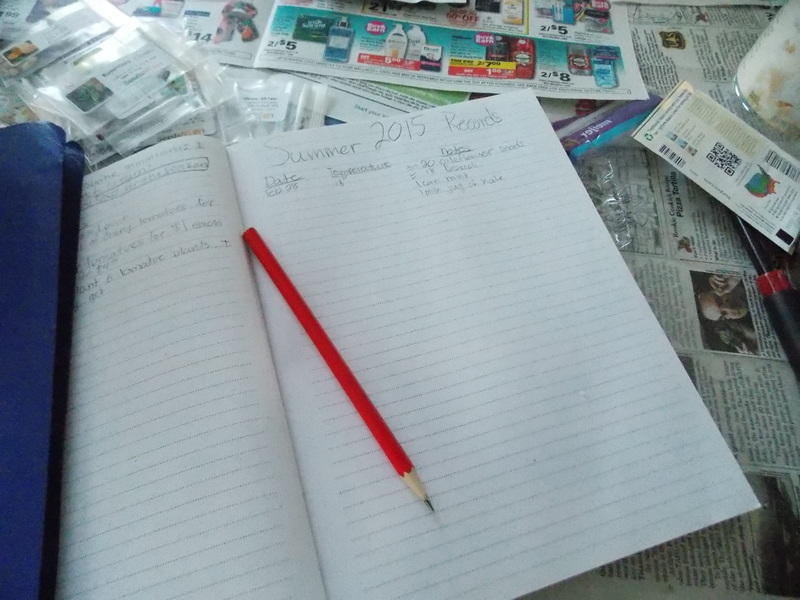 Write it down – you will not regret it next year. A final word: This process WILL make a mess. 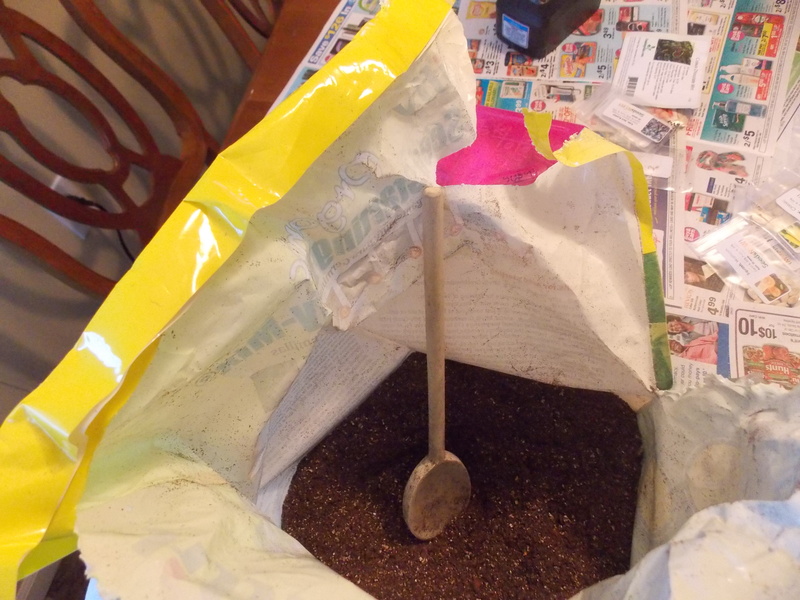 I found it was helpful to cover the table in news paper to catch the soil, and when we were finished I was able to funnel the soil back into the bag. 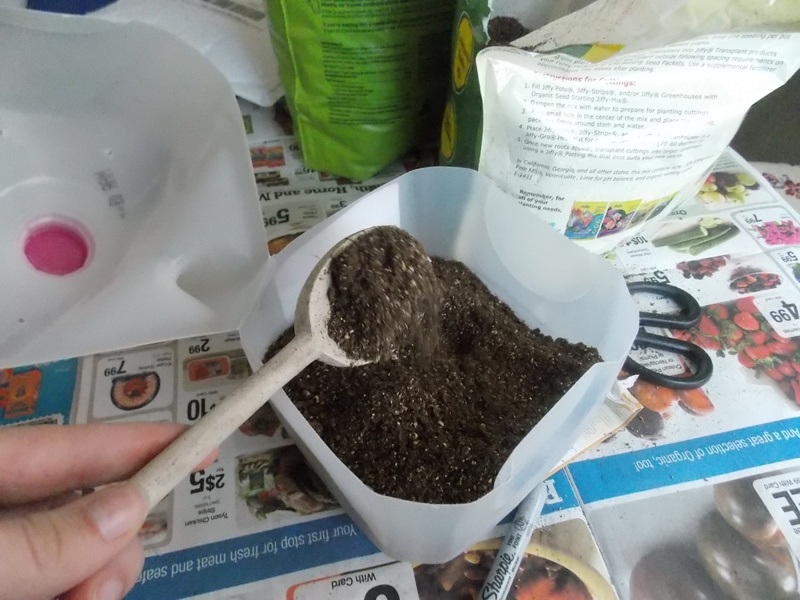 Using a spoon or some other scoop also cuts down on spilled soil compared to scooping it out of the bag by hand. 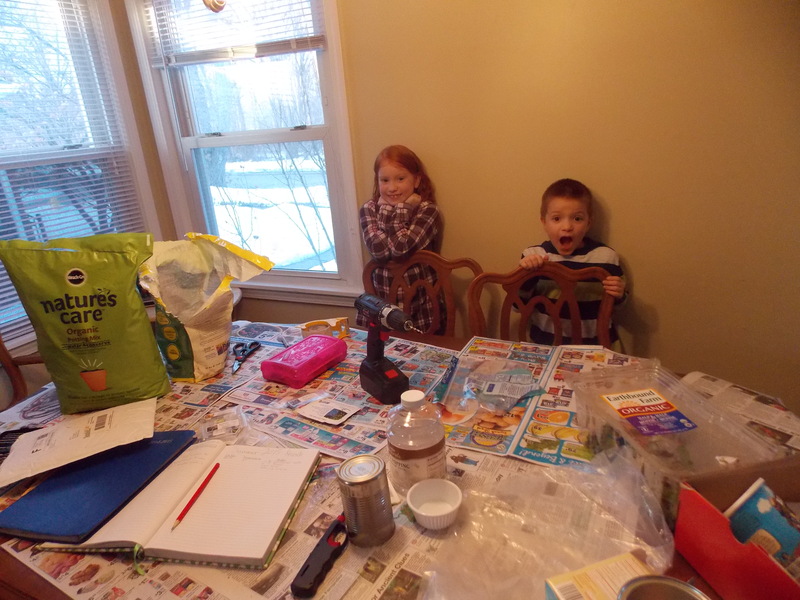 Letting the kids help will make it messier, but so much more fulfilling. I completely recommend it. 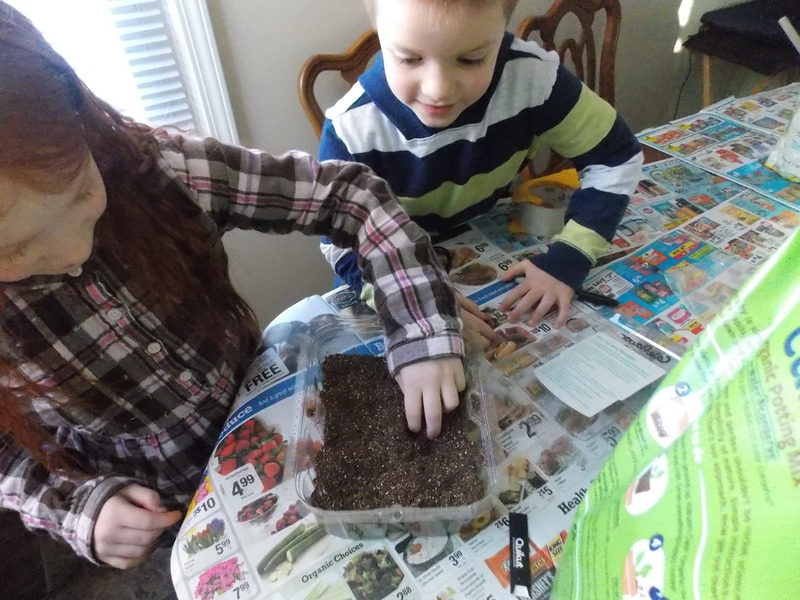 What seed-starting adventures do you have to share? ← What Is She Doing With Her Life? Great post!! I noticed you poked holes in the milk jugs but not the salad container or the baggie over the can. Why not holes in all the containers? To be honest, I simply forgot to mention that I poked holes in the others – I did though! I made sure there was a way for some air exchange to take place in all of the containers, no matter what the top was made of. In the salad container, I used a metal knife that had been heated with a lighter to melt/cut holes in the lid and the bottom, since that type of plastic would have likely cracked if I had done it any other way. 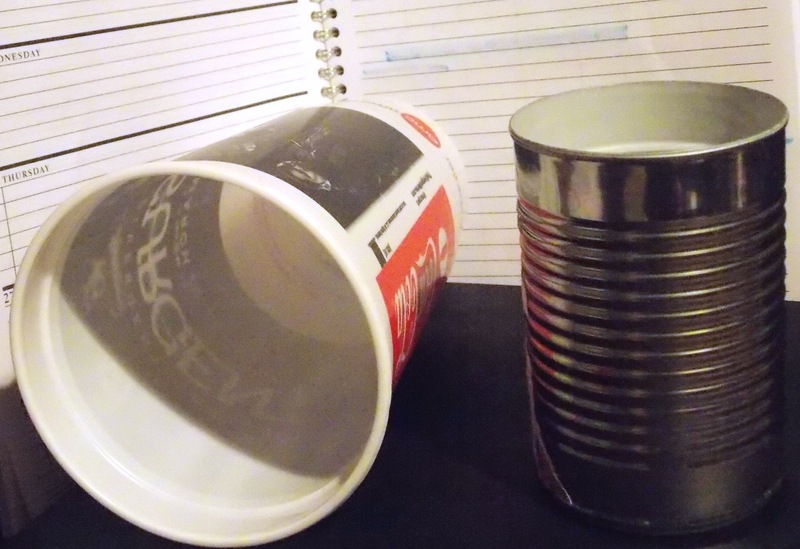 The thin plastic over the can was simply cut using scissors, and I will eventually make the holes bigger as needed. What kind of soil do you buy? Do you use the Miracle Grow or is there something better? If you google this question, you will get a million and one answers. I Always grab a bag of something that says “organic”, but that’s about as much as I pay attention. That being said, every plant has different needs, and every soil mix will have different specialties. You can do a simple search such as “what soil to use for [fill in the blank the plant in question]” and find what soil type will be best. There are mixes out there specifically for seed starting, however, these mixes often contain little to no soil and are primarily peat moss and vermiculite. The problem here is that as the seeds germinate and mature, you will need to put the seedlings into something with more nutrition. To avoid this altogether, I chose a mix that has the name “organic potting soil” on the bag somewhere. Hope that made sense and was somewhat helpful! 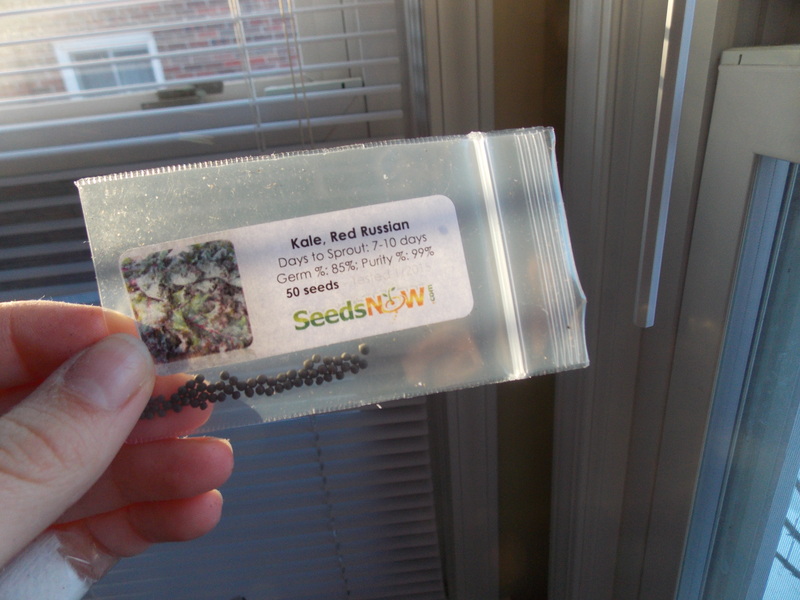 Another couple questions…is it too late if I order seeds and don’t get started for another week or two? Also, we really don’t get any sun in any windows. Tried a florescent light hanging over seed/plants before and didn’t do well I think because they were in the basement, too cold. Any suggestions? You’re ahead of schedule! I have to start early because this is how I make my living. I choose to take advantage of the fact that some plants can tolerate the cold so that I can have an advantage against other produce sellers at the market by having produce earlier. If you are simply trying to work some home-grown food into your family’s diet, it is not a problem at all to wait until it’s warmer. If you don’t need your plants early, I would recommend starting closer to the probable last frost date (May 2). I too am working with very little window space. I am currently placing plants on a TV tray behind the living room couch to get sunlight, but this space won’t last forever. If you are waiting until the weather warms a bit more, you will be able to place your seedlings outside during the day for sun exposure and bring them in at night so they don’t get too cold. Seeds only need heat – not light – to germinate, so if they have not sprouted yet, you don’t need to worry about getting them to some light. If you are super desperate and have too many plants but not enough window space (and it’s still too cold for outside), you can do a rotation throughout the day. Put the plants that need the most sun time in the window for a while, then give the shade-tolerant plants a chance to soak up some rays before nightfall. Again, if you are just gardening for fun, you probably won’t get this desperate and will be able to wait until the weather warms. Regarding the florescent light: there are some lights – usually called “grow lights” – which can be used to get seedlings growing nice and strong. If you were trying to use the florescent light over germinated seeds (if they had leaves already), the problem was likely that that type of light does not offer the plants the UV rays necessary for photosynthesis. If it is hot enough, it may help to get germination started, but normal lamps won’t do much for seedlings. Since grow lights can be expensive, I suggest figuring out a way to get natural sunlight instead. 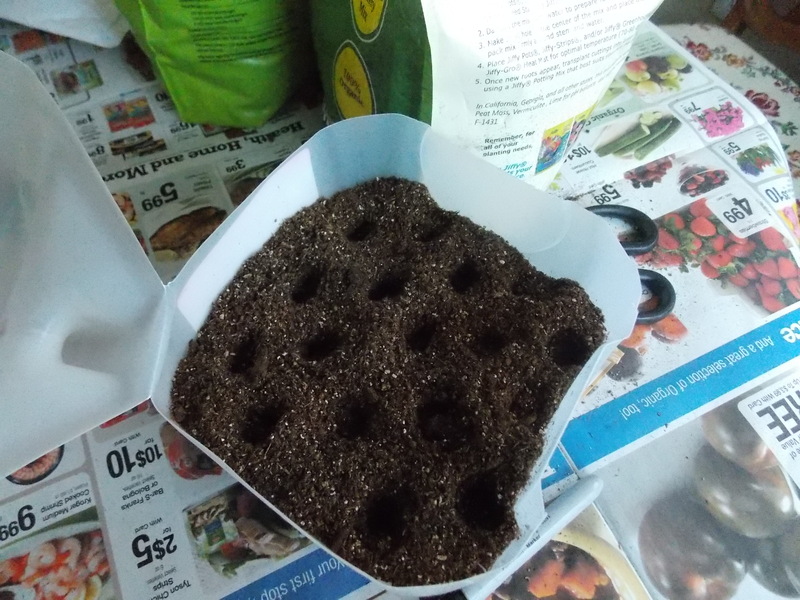 I will try to do a post soon on how I get sunlight to my seeds so you can see pictures of how I make it work. Good question! What a helpful article! I just attended a seminar about seed starting, and this definitely confirmed and expanded on it! I think I’ll give it a try this year with just a few things. Thanks so much! Thanks Erin! 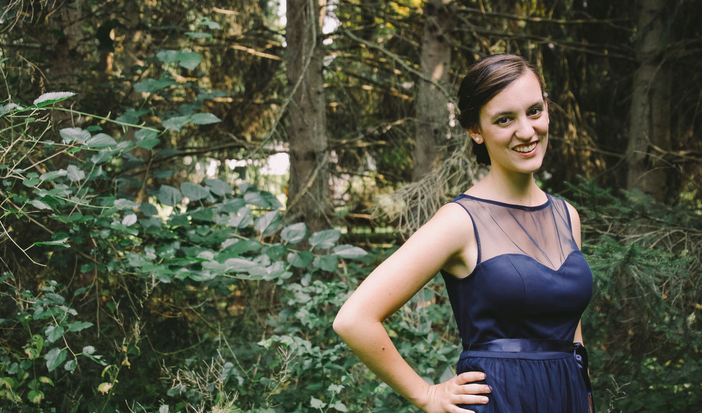 I hope it works out for you – thanks for reading my blog!